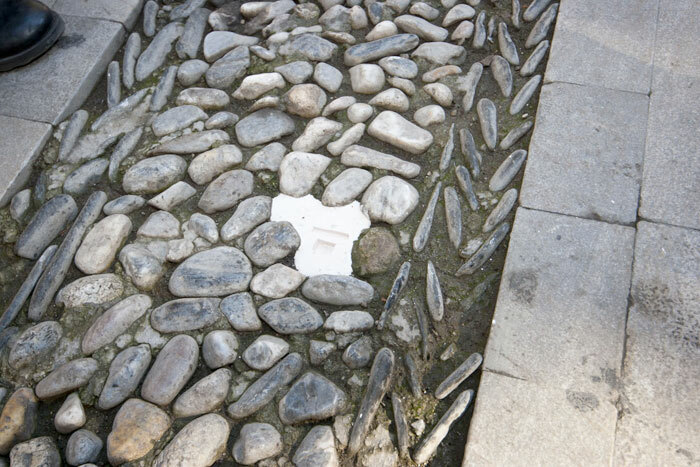 Location: Streets of Granada, historic quarter . 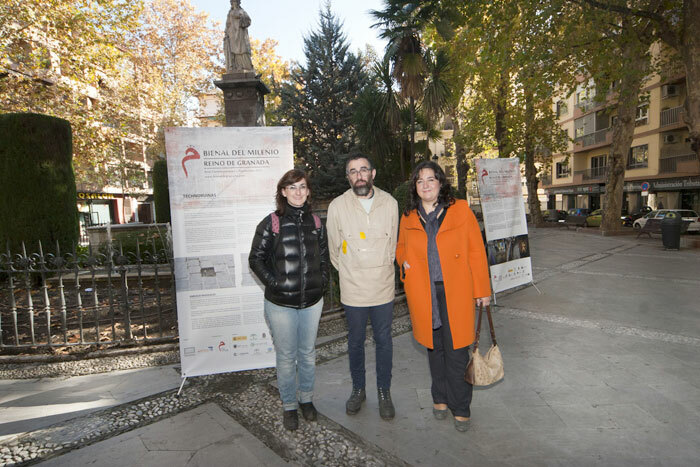 This project aims to focus on the sustainability of our technological heritage, a heritage which, like natural and cultural heritage, is highly vulnerable to change and ostracism. 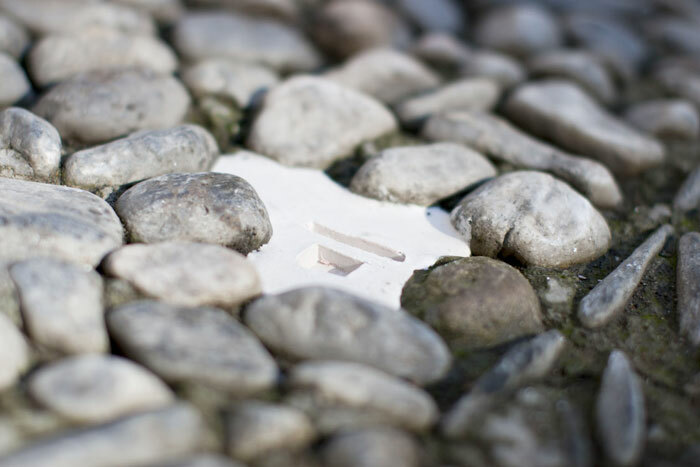 Using the concept of ruins, the installation attempts to incorporate into the urban grid a series of intangible signs linked to the heritage of technology. 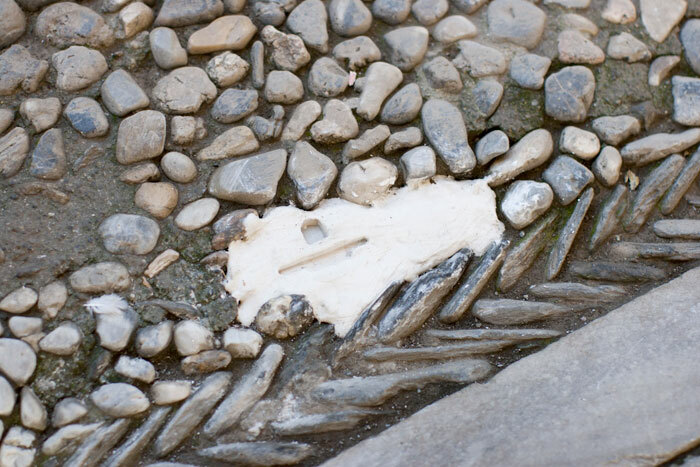 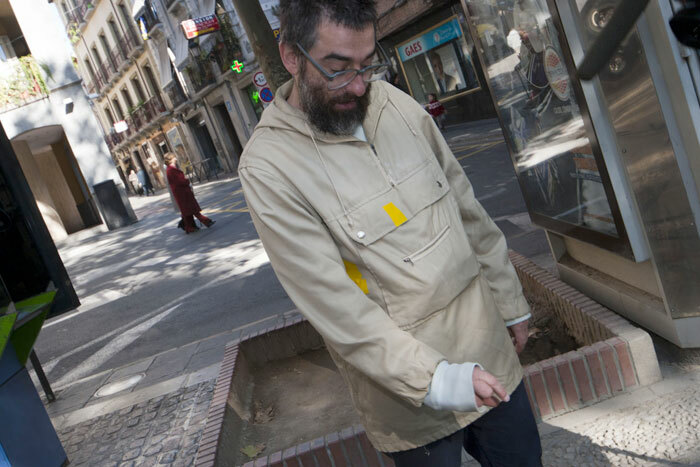 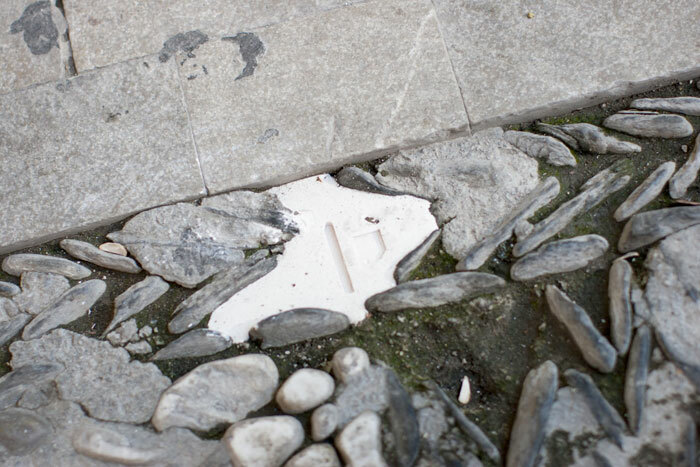 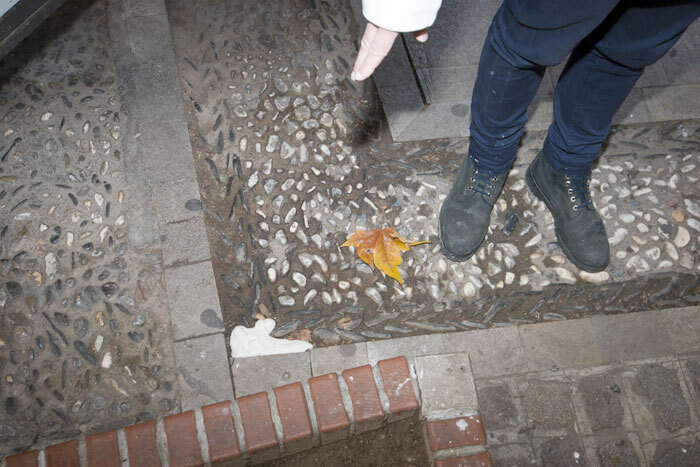 The project seeks out gaps in street cobbling and inserts technological ruins into them. 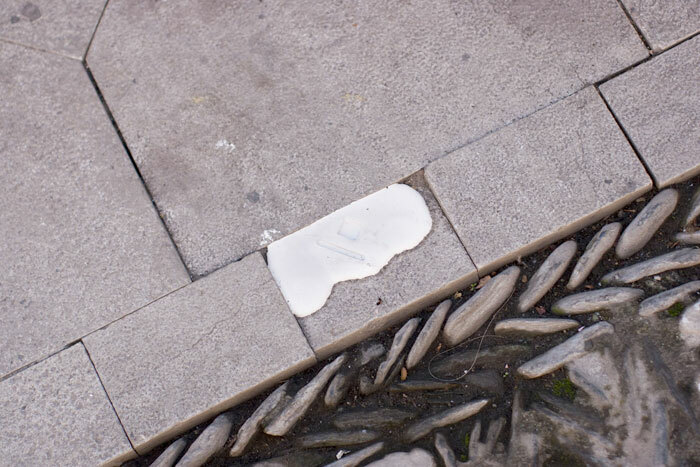 The artist will look for the ideal route in which to locate these “errors” in the streets. 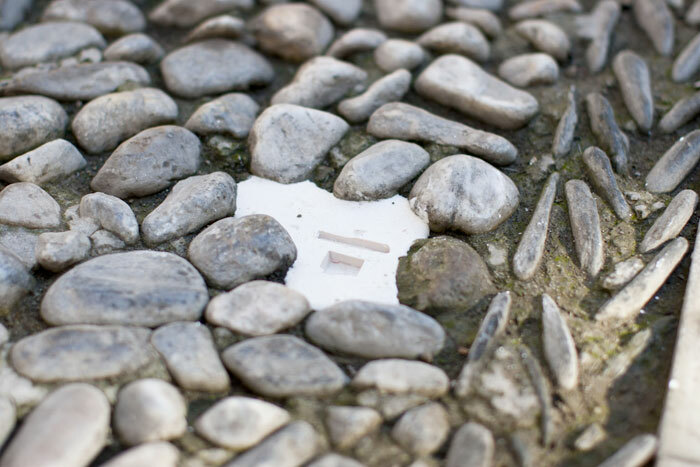 Once found, he fills in the gaps with this material and then stamps them. 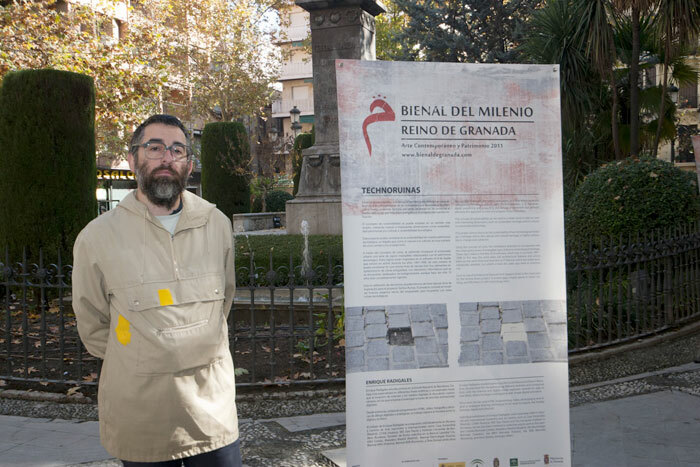 Instalaciones de Javier Álamo y Javier Melgar en el Bañuelo del canal Bienal del Milenio de Granada.